New details in whats been an ongoing saga between the City of Bryan and Planet K. The two may have found some common ground, reaching a settlement in a months long lawsuit. BRYAN, Texas — The City of Bryan and Planet K have reached a settlement in a months long lawsuit. In an agreement obtained by KAGS, it states that the current sign must be removed within seven days. The pole for the sign can stay, but any additional sign that is put up must still pass and follow city ordinances. Also in the statement, once the store makes improvements to the driveway and landscaping, the property will be in compliance, so they City will approve a building permit. From there, a certificate of occupancy (CO) will be given after the City completes an inspection of the building. The inspection will occur within one business day of it being requested. Once issued, that will allow Planet K to move inside the building. The City had been issuing citations to employees for operating without the correct permits, in the settlement it states that those citations will be dismissed. The agreement comes after a lawsuit was filed against the City of Bryan by Planet K. The City stated that the sign was against its ordinances, Planet K fought back and sued. 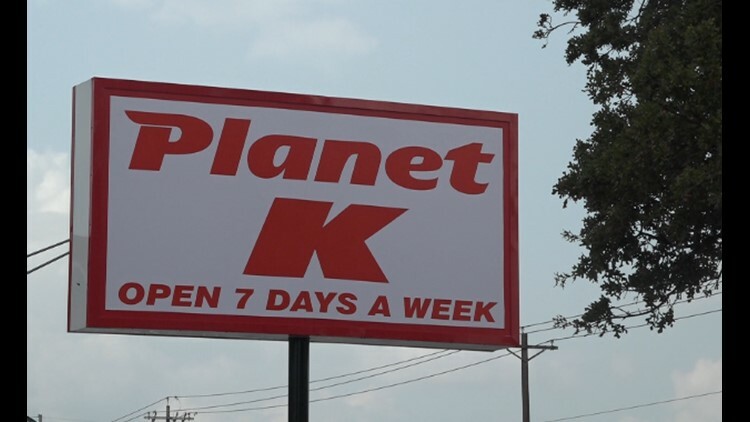 In a statement to KAGS, Meredith Parenti, the lawyer for the owner of Planet K said, "We are pleased that we have reached an agreement with the City of Bryan that avoids having to litigate these issues in court."